A lot of moms who are pregnant with twins or multiples feel that they would have to deliver by C-section and that a natural twin birth is complicated or even close to impossible. This is necessarily not the case. There are actually many options to give birth naturally that a mother can choose to go through if she is expecting more than one baby. Is it possible to have a natural twin birth? UK’s National Health Service (NHS) reports that more than 40% of multiple deliveries are vaginal birth twins. This shows that giving birth to twins naturally is definitely possible. However, to ensure that vaginal birth is successful there are a number of conditions to be met first. One of which is that the mom should not have any health issues that might put her or her babies at risk such as gestational diabetes and preeclampsia. The second is that the babies should have both heads down. This position is called vertex/vertex and it is the most cooperative position that you would want your twins to be in on D-day. This head-down position happens 40% of the time ensuring that a mother will go into labor naturally. If, for example, the baby nearest the exit is head down, but the second baby is breech in position (feet first), it is still possible to give birth vaginally. The mother would need to deliver the first baby and then the practitioner would try to turn the second baby into a head-down vertex position. This can be done by either applying manual pressure to the mother’s abdomen, or by reaching into the uterus to turn the second baby. If the baby doesn’t turn, the practitioner may go through a breech extraction. That is, pulling the baby out feet first. Case in point, vaginal birth has a high success rate when done by experienced practitioners. When it comes asking how to give birth to twins naturally, another option is homebirth. Home birth involves trained midwives or nurse-midwives in cases where pregnancies are low-risk and healthy. Before the era of hospitals, this is the way mothers actually gave birth and it has its benefits. Home birth costs much less than giving birth in the hospital, for one. Another is that in home births, the mom and babies are surrounded by people who love them throughout the birth process. Before going for home birth, weighing the pros and cons of giving birth at home should be given ample thought. Because in reality, home birth is not for everyone. The American Pregnancy organization gives some pointers to know if home birth may be an option. One is that the mother is healthy and has a low-risk pregnancy.Second, a home birth is good if the mother wants to share the experience with close family and friends.Third, if the mother wants to avoid a C-section, an epidural or an episiotomy, then home birth may be done. Finally, this may be an option if the mom wants to enjoy the comfort of her own home during delivery. Take note though that there are some instances when a mother is transferred to the hospital. One situation is when the mother is exhausted and unable to continue. The second is if there is a premature rupture of membranes. Third, if the mom gets high blood pressure and has no progress with labor. Fourth, if fetal distress, cord prolapse, or hemorrhage is experienced. What would a vaginal birth to twins be like? When a mom gives birth to twins naturally, there are differences compared to singleton deliveries. Expect that there will be a lot more health professionals in the delivery room. The medical team usually includes an obstetrician, two midwives, two pediatricians and two neonatal nurses. Pain relief will also be offered in the form of Entonox (gas and air) and pethidine. Entonox (also known as laughing gas) made of half oxygen and half nitrous oxide. It is colorless and odorless and can take the edge off labor pain. Pethidine on the other hand, helps relieve pain by making the mother feel more relaxed. An epidural is likely to be offered, too. During labor, the babies will be monitored with EFM (electronic fetal monitors) which are a standard in multiple births. A belt with sensors will be attached to wires around the mom’s belly, and these wires will be able to pick up the twins’ heartbeats, as well as the frequency and intensity of the contractions. When all systems are a go to start pushing, the OB-GYN would usually move the mom to the operating theater, just in case assisted birth is needed. Once the first baby is born, the second twin’s position will be checked by the doctor. He can either do a vaginal examination, have an ultrasound scan or feel the mom’s tummy. If the second baby’s position has no problem, then the mother may now give birth to the second baby. After giving birth to the twins, the placentas will also be delivered. Once the placentas are out, an injection will be administered that helps the mother’s womb contract slowly. It also helps protect the mom from heavy bleeding. Is it really safe to go through vaginal birth for twins? Studies have shown that vaginal birth is safe and can be successful if the babies are older than 34 weeks given that they are in good positions and do not have complications. In addition to that, it is important to have an experienced obstetrician. The Twin Birth Study led by the chief of maternal-fetal medicine at Sunnybrook Health Sciences Center, Dr. Jon Barret, reveals that a vaginal delivery for women who are pregnant with twins are just as safe as a planned C-section delivery. This is why the study urges everyone not to rule out vaginal delivery for twins. 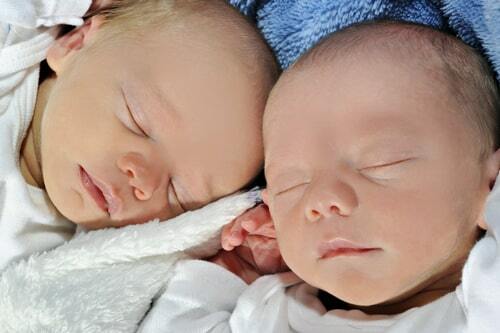 Understanding birthing options for mothers who will go through a twin birth is important to know which method is best for the mother and the twins. At the end of the day, what is most important is that in whatever choice made, the goal is to deliver two incredible babies to one safe mom.